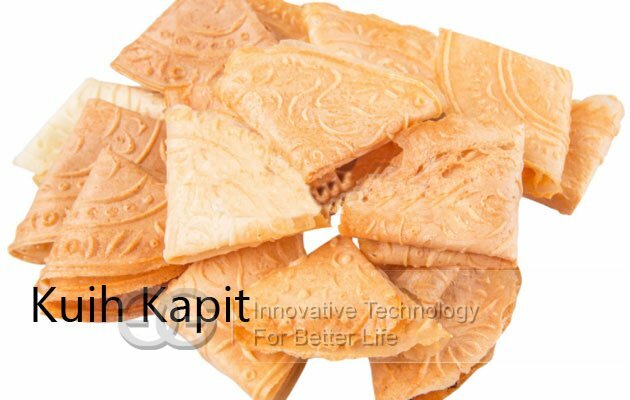 Kuih Kapit is a traditional snack food, popular in many South Asian countries, likeIndonesia, Malaysia, Singapore, Brunei,etc. Kuih Kapit is a traditional snack food, popular in many South Asian countries, like Indonesia, Malaysia, Singapore, Brunei,etc. 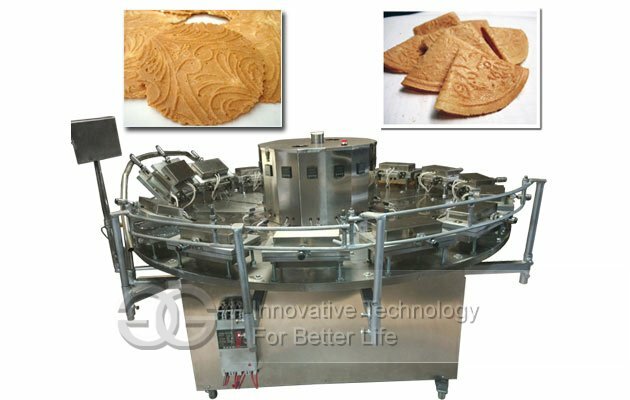 The cookie is form on specialised mould known as the kuih kapit mould which comprises two round iron plates held together by thongs. The plates bear designs that are transferred to the cookies. 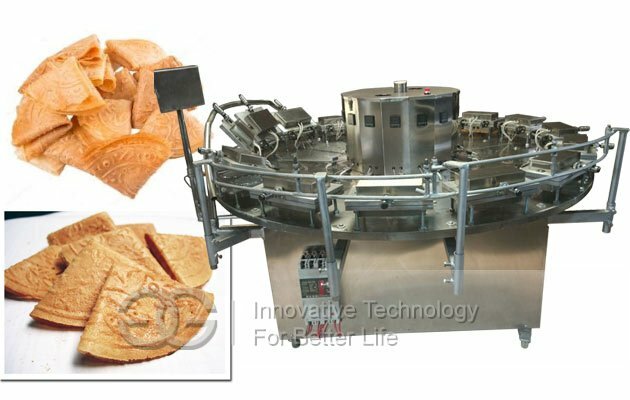 Kuih kapit gets its name from how the cookie is formed when compressed in the kuih kapit. 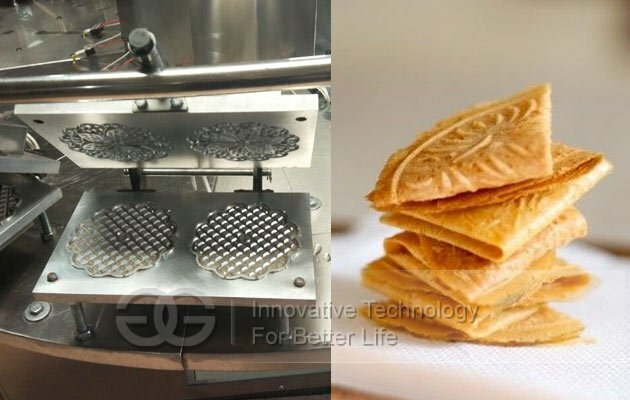 GELGOOG offer commercial Kuih Kapit Baking Machine to make kapit cakes with various kinds of decorative designs. 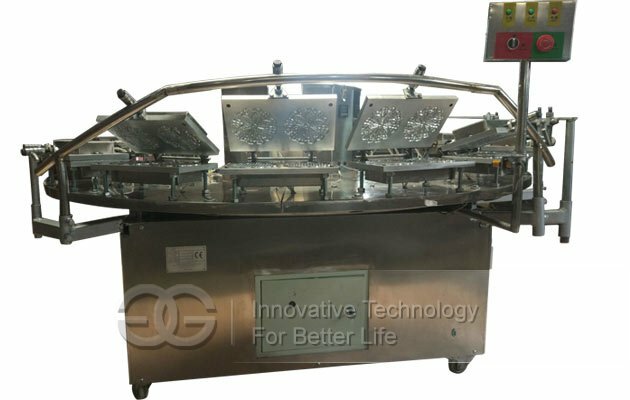 This machine is with stainless stell design, customized capacity, range from 500 - 2000pcs/h, the size of the finished product can also be customized.